As a business owner, there are numerous things that can go wrong and diminish your company’s revenue. Some of these things are unavoidable, but others can be prevented. It is absolutely essential to prepare for the worst-case scenario, while hoping for the best. This is especially true, when it comes to the chargeback. A customer can hit a business with a chargeback claim at any point in time. This is why it is vital to prepare in advance and attempt to work with the customer, in order to prevent losses. Within this guide, you will learn all there is to know about this type of situation. Before going any further, it is essential to take the time to familiarize yourself with this term. A chargeback is a type of complaint, which is initiated by the customer. It can be brought about by a number of different reasons and will result in the customer filing a claim with their credit card company. Although the majority of customers take this action with good intentions, others will do so, as a way to scam the business out of a free product or a refund. 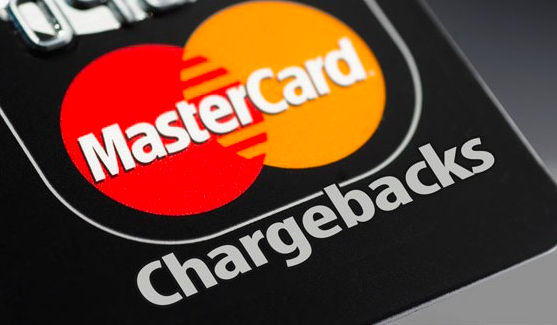 If you own a business and accept credit card payments, then you are at risk of chargebacks. While many business owners would not give a second thought to one chargeback, this is still a financial loss that will be felt at some point. You will not only have to replace the lost inventory, but you will be forced to refund the customer. Many companies have failed financially due to fraudulent and legitimate chargebacks. It is important to note that sometimes the customer will have a legitimate reason for requesting a refund. If you fail to process and ship their order in a timely manner, then you are putting your business at risk of being faced with chargebacks. When it comes down to it, there are numerous reasons for a customer to file a complaint. Sometimes, the customer is devious and only wants to gain something for free, but there are many legit reasons for a claim to be filed. First and foremost, the customer may file the claim, after they receive an item, which is different from the one they desired. Failing to provide enough details about your items will raise the risk. Also, providing erroneous information could very well lead to problems. In some cases, a customer will file a complaint, because the item was damaged, during the shipping process. Unfortunately, this is a difficult situation for both sides of the transaction. Neither desired the outcome and the source of the problem might’ve been the third-party shipping company. Finally, it is also possible for customers to file claims by insisting they did not authorize the purchase. Although this may be true, this is generally the most common excuse, when the customer is attempting to commit fraud. While you may never be able to protect your business completely from chargebacks, there are some things that you can do to prevent the most of them. It is crucial for your business that you take all of the precautionary measures to decrease your risk of chargebacks. Employee training will play a huge role in preventing chargebacks. By training the employees that work in the shipping and handling department, you will find customers receiving their products without complaints. Although there are numerous ways to prevent chargebacks, you should also be prepared to fight false claims. Once a customer has filed a claim against your company, you will have the opportunity to submit evidence and prove that you upheld your end of the bargain. If you did not prepare ahead of time, you will not have evidence to submit. This is why it is imperative to keep track of all of your company’s transactions! When accepting an order, receiving a payment and shipping out the item, you should keep documentation of each. This information will come in very handy and will prove that you shipping out the item, as intended. Although providing this information won’t always help you win the claim, it will enhance your chances significantly. Another great way to prevent chargebacks is by requesting the cardholder’s signature. This will prevent the credit card company from rejecting the payment authorization. It is also important to match the signature with the signature on the back of the credit card, before you approve the transaction. If you own an online business and just happen to receive a payment for an extremely large order or expensive product, you should respond by getting a payment authorization. By contacting the cardholder, you could potentially spare your business from a huge financial loss. Speak with the customer personally to make sure that they placed this order, before you actually begin the processing procedure. Many hackers will purchase a large amount of products or an expensive item and pay for it with someone else’s credit card. This should raise a red flag, which needs to be investigated carefully. Call the cardholder and request payment authorization every time a large order is placed. If your company operates in a high-risk environment, you may want to put in a little extra effort. One of the best ways to do this is by purchasing chargeback insurance. This type of insurance can be incredibly beneficial for those that accept credit card payments. The insurance is specifically designed to help you combat fraudulent claims. It generally targets transactions, in which a credit card was used without the owner’s authorization. If you believe that you’re operating in a risky environment, it is highly recommended that you purchase insurance. Insurance will help you maintain your peace of mind, while also ensuring you do not lose any revenue form fraudulent claims.